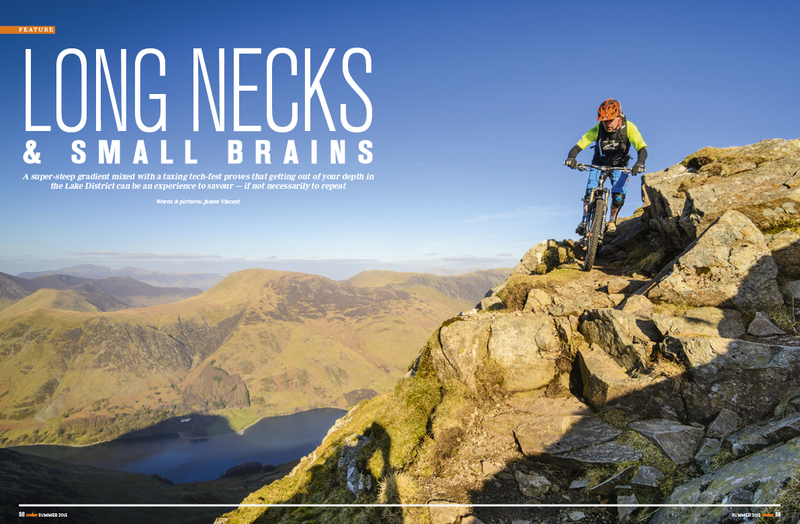 Long Necks and Small Brains: “It’s all bridleway, it can’t be that bad,” prove to be fatal final words as we venture to the Lake District. The passes surrounding Buttermere are technical, rocky challenges and well worth taking on. Godsend! 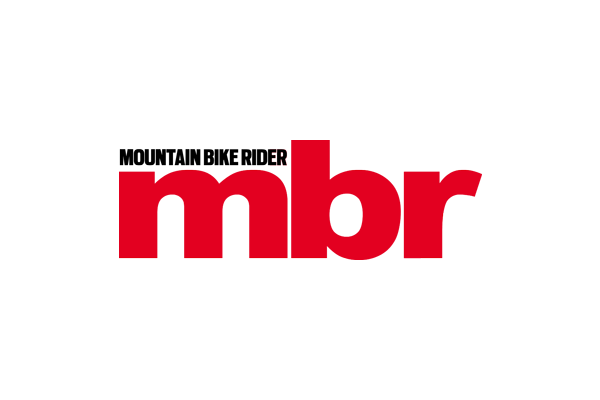 : In 1989 Stefan Etzel and Christian Smolik conquered Mount Olympus on rigid, skinny mountain bikes. We follow in their footsteps to the home of the Greek deities to hit some Olympian heights and find some angelic trails. 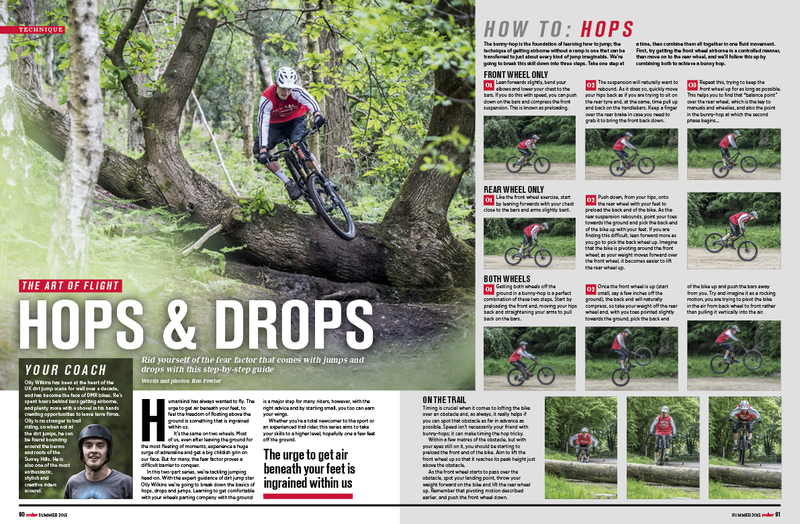 The Art of Flight: We start our new skills series with dirt jump pro Olly Wilkins to get you hopping and dropping with confidence. Forget the Red Bull, read this and we’ll be the ones giving you wings. Trail Centre Focus: Continuing our mission to bring you the best man made singletrack we head to Hamsterly which comes complete with crowd funded trails and the Descend bike park. We show you the best of the Pennines’ premier trail centre. 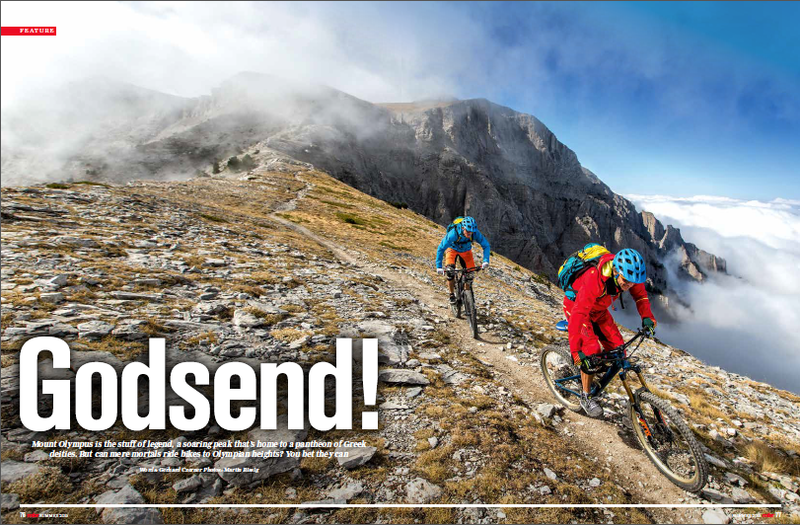 Full-Suss for £1,000: We reckon it’s now possible to get a quality full-suspension mtb for under a grand, so we put five of the best to the test. 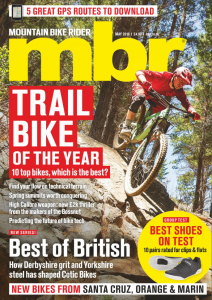 Tested: HT X1 clipless pedal, Chromag Basis grip, Dakine Reload 30L camera bag, Cmaelbak Magic, Gravity Grid bar, Lazer Magma helmet, Alpinestars Paragon knee guards, Crank Bros Y16 multi-tool, Mavic Crossmax SL wheelset. 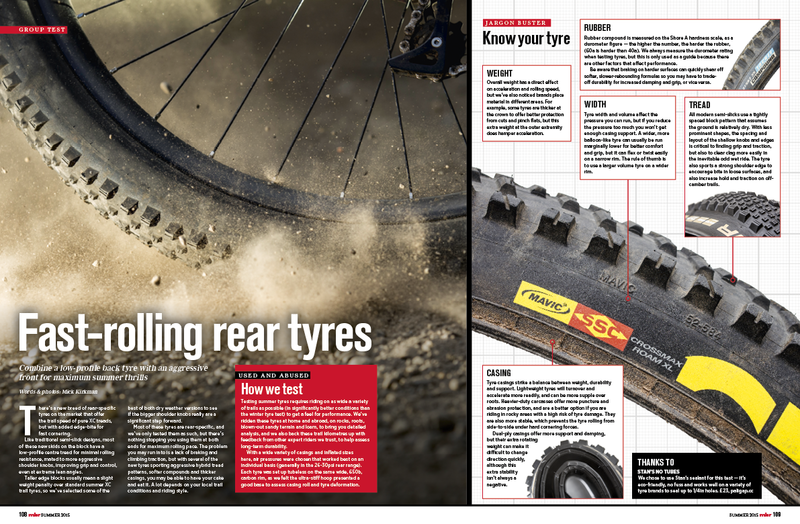 Fast Rolling Rear Tyres: Get maximum summer thrills, we test 9 summer semi-slicks.